Background: Before Harris was sworn in as the U.S. Senator for California, she earned her law degree from the University of California, Hastings College of the Law. In 2003 she was elected as the District Attorney of the City and County of San Francisco, and then became the first African-American, Asian-American and woman to become the Attorney General in California in 2010, according to her campaign site and a 2010 article from CNN. Afterwards, she assumed the senator’s office for California in 2017. Healthcare: Harris said during CNN’s town hall event in Iowa last Monday that she supported the Medicare for All plan, which was co-sponsored by Sen. Bernie Sanders, I-Vt. She called to get rid of private health insurance altogether, calling the industry inhumane. 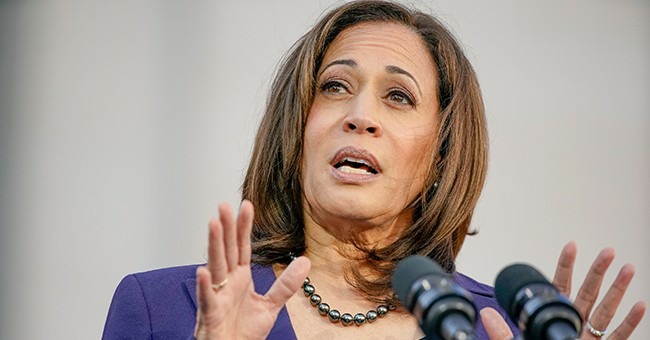 Immigration: Harris has openly opposed President Donald Trump’s border wall plan and supports the Deferred Action for Childhood Arrivals program. Criminal Justice: Harris wants to reauthorize the Violence Against Women Act to combat domestic violence and sexual assault issues. Gun Control: During the town hall event, Harris advocated for “smart gun safety laws,” and stated that people can believe in the right to bear arms while calling for regulations on assault weapons. She criticized Congress for not taking actions sooner to initiate gun control. Abortion: Harris is a long-term supporter of abortion practices. She received a 100 percent voting record score from NARAL Pro-Choice America in 2003 for her consistent support of abortion laws and practices. Her office was responsible for co-writing AB 1761 in California, which is designed to prevent whistleblowers from revealing information from the healthcare industry. It was made in response to a series of videos taken by David Daleiden revealing that Planned Parenthood was involved in trafficking fetal-tissue. Harris also called out against a bill in 2018 written by Sen. Lindsey Graham (R-SC), which would have made it illegal to preform an abortion after 20 weeks. She wrote on Twitter that women have a "constitutional right" to decide what they do with their reproductive system. Progressive Pushback for Harris’ Criminal Justice Record: Harris was criticized by progressives for having an inconsistent criminal justice record. On the one hand, she pushed for programs to reduce recidivism rates for low-rate criminals, and in 2004 she didn’t push for the death penalty of a defendant accused of killing a police officer. On the other hand, Harris defended the use of the death penalty in California when she was an attorney general. On Monday, a video of Harris speaking to an audience at the Commonwealth Club in San Francisco in 2010 surfaced, in which Harris took pride in sending prosecutors into San Francisco schools to intimidate parents of truant kids. Harris also targeted parents in homeless and low income situations. Health Care Flip Flop: An advisor to Harris on Tuesday signaled that the senator was willing to look at less aggressive healthcare plans that would preserve the private industry, after Republicans backlashed Harris’s statements on CNN’s town hall event Monday. Lily Adams, Harris’s communications director, said on Twitter that the senator’s healthcare goals are still the same. Sexual Harassment within Harris's Office: Larry Wallace was a former senior adviser to Harris. He resigned Dec 5, 2018 after settling a $400,000 harassment charge. According to the lawsuit, in 2016, when Harris was attorney general, Wallace put a printer underneath his desk and told his assistant to regularly replace the ink and paper underneath.